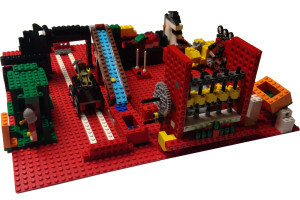 http://www.firstinspires.org/robotics/flljr – FIRST Lego League Jr – A FIRST program for K-3 kids to make a Lego project for theme for the year. JrFLL is a fun activity that teaches teamwork and presentation skills. http://www.firstinspires.org/robotics/fll – FIRST Lego League – A FIRST program for grades 4-8. The kids build and program a Lego MindStorms robot for a timed competition. The robot must complete tasks on a 4’x8′ playfield. The team also researches a problem related to the theme for the year and presents a product or solution as part of the competition. https://www.lovestemsd.org/ – Every year on a Saturday in March, the San Diego Festival of Science and Engineering Expo Day at Petco Park hosts hundreds of booths promoting STEM fields.